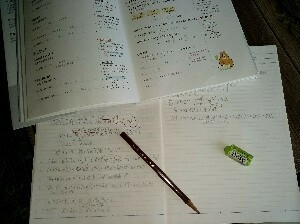 4 Four days have past passed since I've started learning math. Even junior high school's math, I some times encountered problems that are too complex for me to solve. I asked to my daughter about the my math problems I can't understand. She solved my math problems easily. I remembered she was a cram school teacher when she was student.